Donald Trump easily won in Kentucky’s first ever Republican Presidential Caucus held on Saturday. He also didn’t have any problem getting votes in Lewis County. The results of the Kentucky Presidential Caucus are beginning to trickle in. Kentucky Republicans will cast their votes for Republican candidates for president at a caucus this Saturday, March 5. The caucus, which is run by the state Republican party and county parties, replaces the usual presidential primary in May. 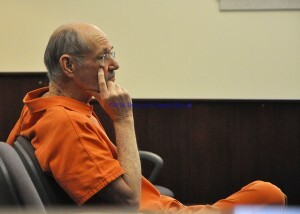 Duncan Aker Jr. waits for his hearing to begin Friday afternoon in Lewis Circuit Court. 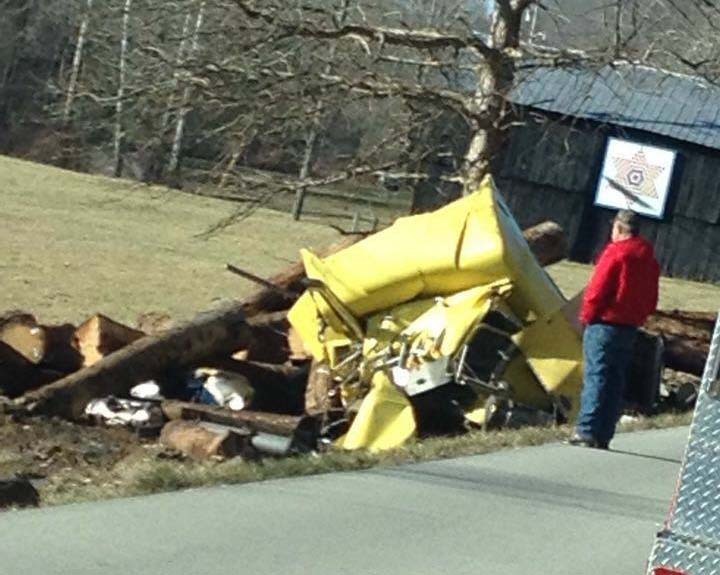 A log truck crash on Ky. Rt. 377 in Rowan County injured the driver. 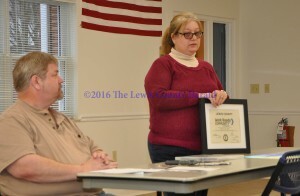 Angie Potter displays the certificate designating Lewis County as a Work Ready Community in Progress as Chamber of Commerce President John Grabill looks on. 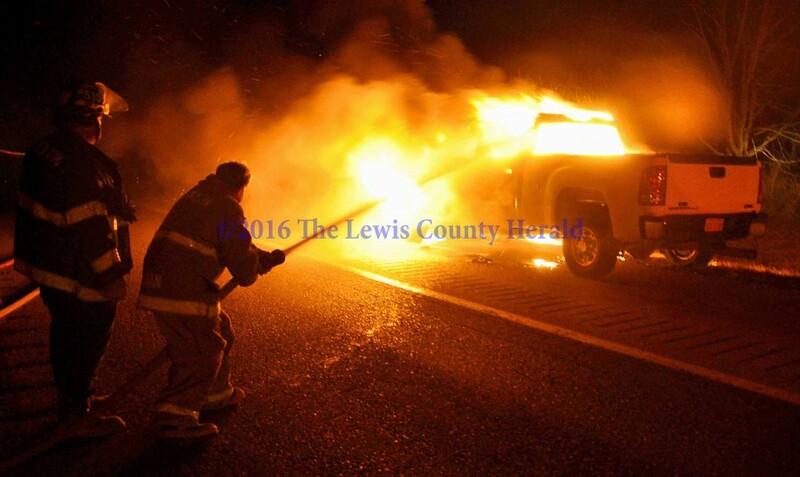 Firefighters work to extinguish a vehicle fire on the AA Highway at Garrison. The Lewis County Lions and Lady Lions both advance to the 16th Regional Tournament this week at Morehead. Wright signs with Midway University. 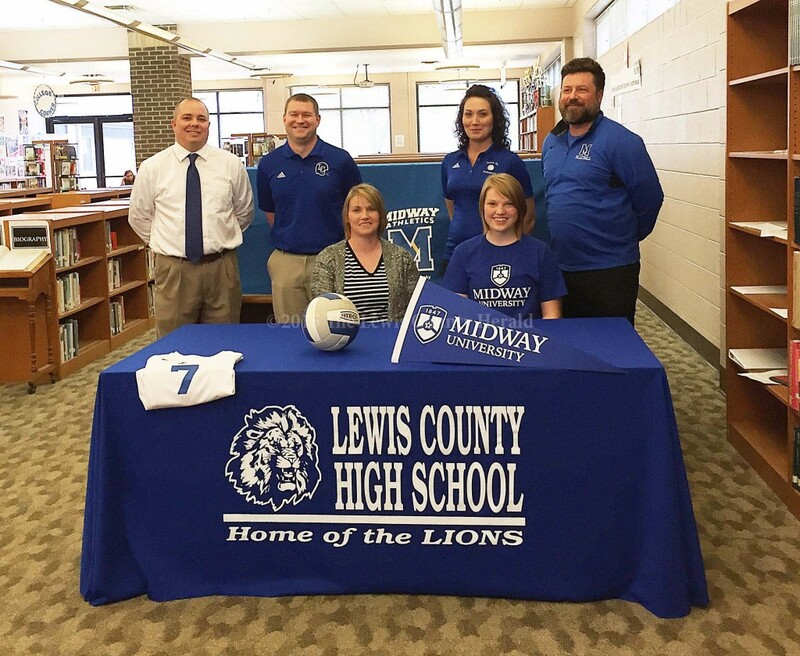 LCHS Volleyball standout Courtney Wright has signed with Midway University.